Recently, i went for a little field work on a clients farm located somewhere in the heart of Badagry. As a food blogger, i get to do lots of freelance field jobs like this once in a while. He owns this very large farm on acres of land where he breeds lots of stuff such as pigs, cows, goats and grows other edibles like maize, tomatoes, pawpaw, pepper, okra, beans, vegetables e.t.c. As an authentic son of the soil, the most abundant type of leafy vegetable on the farm was shokoyokoto. This didn't come as a surprise..i mean, who doesn't love the taste of hot spicy Efo riro. My colleagues and i spent practically the whole day on the farm and when we were done we were asked to take as much shoko as we wanted since the market women who usually come to harvest in order to sell in the market hadn't come yet. The farm workers excitedly harvested the vegetable with the stems and all and handed it over to us. 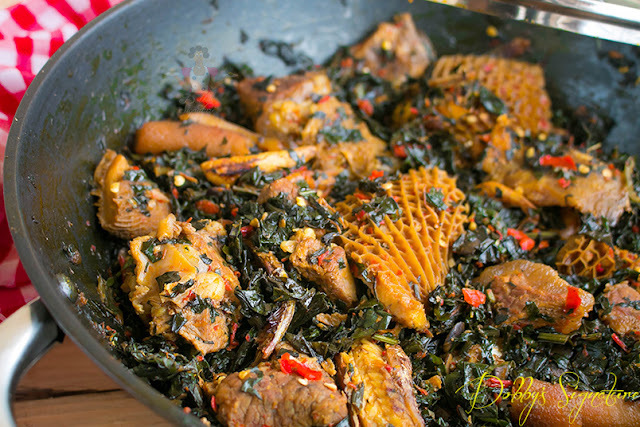 In my previous efo riro recipe, i made use of green( tete eleegun) so i decided to remake the recipe but with shokoyokoto instead. 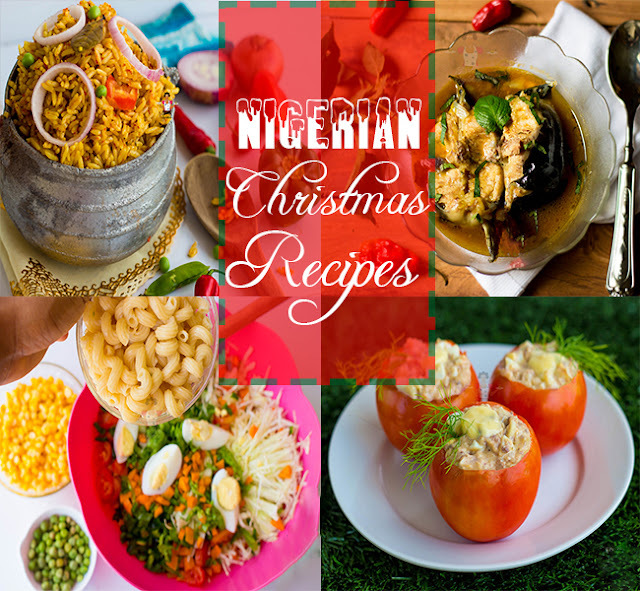 The only difference between the previous recipe and this recipe is the leafy vegetables used. 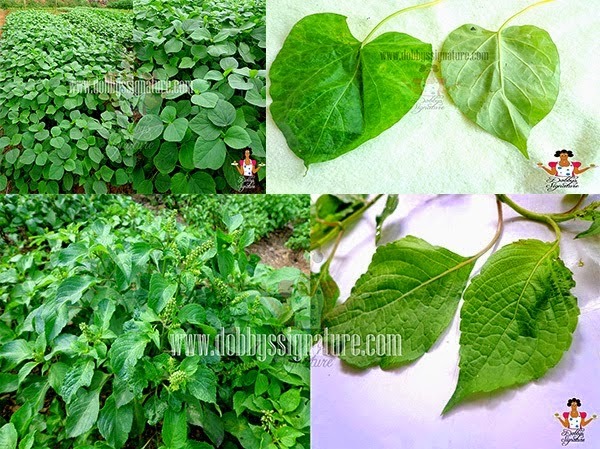 Shoko yokoto (Celosia Argentia) also known as Lagos spinach is a leafy vegetable which is very popular in the western part of Nigeria. It's actually the main vegetable used in the preparation of the iconic "Efo riro" Vegetable soup. 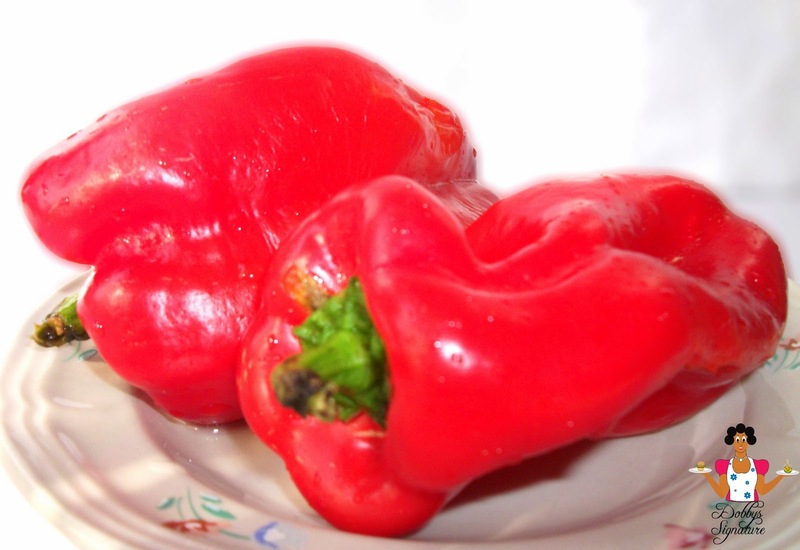 It's rich in Beta-carotene, Folic acid, Ascorbic acid, protein, calcium, iron. Here's how it's prepared. For soup stock any type of meat such as Goat meat, Cow Intestines "Roundabout", Tripe a.k.a Sharki ,Cow Liver, Smoked Cow skin "Pomo", Chicken, Cow meat and Fish Can be used but for this I used only Smoked Fish, Stock fish ( Panla / okporoko) and Cow Beef (Red meat), sharki & ponmo. Step 1: Soak the Stock fish in hot water for 10 mins and rinse with cold water. Shred it with your fingers and set aside. Remove the bones from the smoked fish, wash and set aside. 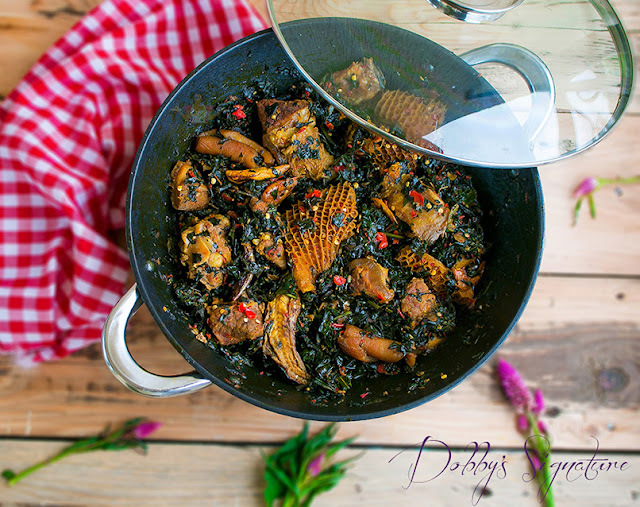 Wash the Cow beef, sharki and ponmo thoroughly with water and place in a medium sized pot. Add two seasoning cubes, salt, water and leave to cook on medium heat. 25 mins into the cook time, add the Smoked fish and Stock fish (Should be soft by now) - leave to cook for 10 mins more. The water left should be minimal by now. Turn off the burner and Set Aside. Step 2: Pluck the shoko leaves from the stem. Discard the purple flower if you come across it. Chop the shoko leaves with a knife and place in a bowl. Add about ½ teaspoon of salt, pour boiling water over it and place a lid over the bowl. Shoko is said to be bitter and soaking in hot water helps remove the bitter taste. Allow to rest for 5 minutes. 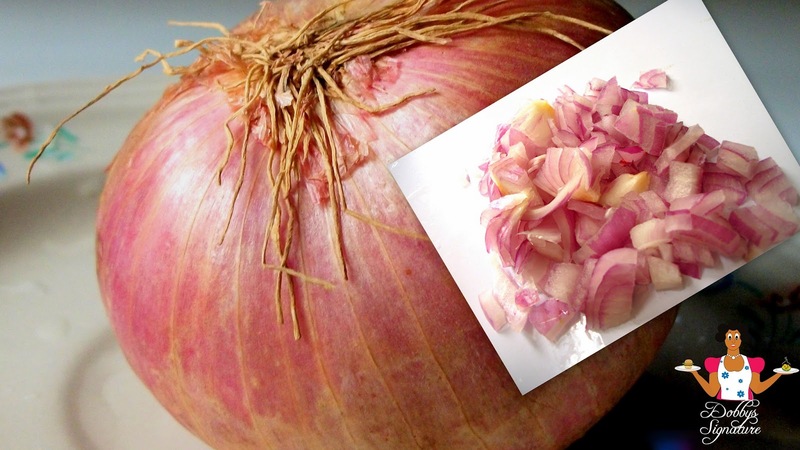 Rinse out the shoko immediately with cool water so it doesn't turn dark. Drain off excess water. Step 3: To prepare the pepper puree, rinse the scotch bonnets (Ata rodo), Red bell pepper a.k.a Tatashey (Remove the seeds cos it’s usually bitter) and Chili pepper. Place in a grinding machine and blend. Pour the blend in a small pot and cook till there’s no liquid left or simply drain off the excess liquid with a sieve. Turn off the burner and set aside. Step 4: In an empty pot, add the palm oil and leave to heat for about 2mins. Add the chopped onion, Pepper puree and Iru (Locust beans) – Stir fry for 4 mins. Gently add the soup stock including the meat and fish, 2 seasoning cubes, crayfish, prawns and leave to cook for about 6 mins. Step 5: Add the chopped shoko and stir to combine the mixture. Leave to simmer for 5 mins. Turn off the burner and leave the pot open to let out steam. 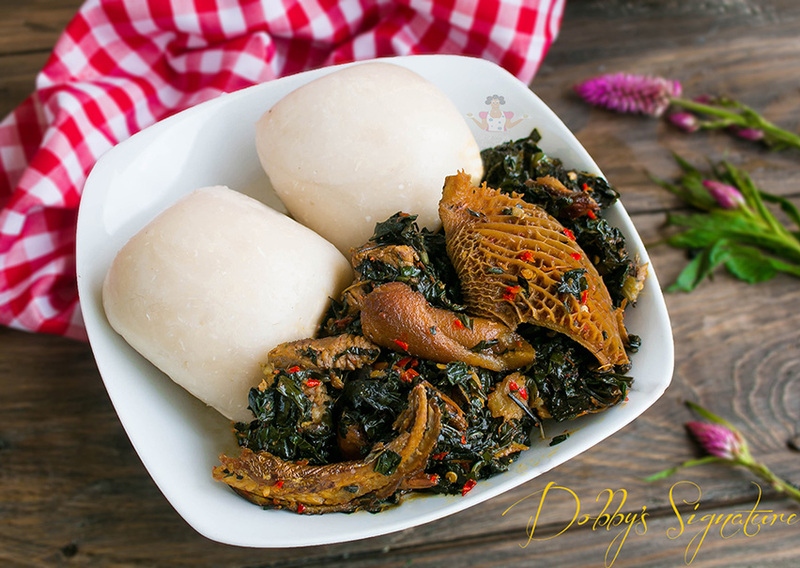 Serve with any form of Swallow, Yam or rice. It looks so delicious, Dobby!